Even though our product name is BondPlanner, it’s truly a valuable part of your team all year long. Being able to update and report on facilities and planned projects helps you maintain confidence with your administration and community. For districts that are seeing any growth, we all know that every 3-4 years there is a change in personnel within the construction/facilities leadership role. That change leads to a loss of knowledge regarding the planning and construction activities, and many times leads to a loss or misplacement of the planning data. With that loss, bringing their replacement up to speed takes that much longer, and in some cases, requires outside services to help piece it back together. This is costly in time and money. BondPlanner is your district’s consistent source of facilities and planning data. Now there’s no need to worry about personnel changes. BondPlanner is hosted on the Amazon cloud, so it’s available 24/7, and we make sure your data is backed up throughout the day. Access it from your desktop, laptop or tablet. When you’re dealing with spreadsheets, the idea of someone’s system crashing and losing all your data is a real concern. It’s happened to districts that we work with. With BondPlanner, you can escape “spreadsheet purgatory” and get your team using a consistent process that provides controlled access and logs every change that’s made to your data. When you’re using spreadsheets, anything goes. And a change to a formula can wreak havoc with your plan. 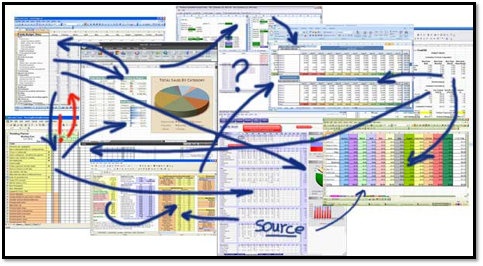 BondPlanner provides interactive dashboards that are linked to the database. As you click on portions of the report, the data is automatically filtered to help you get right to the answer you need, instantly. Having access to detailed or summary data like this helps you demonstrate your management of your department. You can print to PowerPoint or PDF if needed, and of course these can be displayed on a screen for team review. Nobody likes to fail, but it happens. Not all bond offers pass, so what do you do with all that work if you don’t pass? If you’re using spreadsheets, you need to make sure they are stored properly, and then get ready to do the spreadsheet shuffle again. BondPlanner maintains your data and makes it easy to modify your projects and bond scenarios so that you can quickly prepare for the next election.